Acenetworks continues to be a customer oriented company by introducing our new updated Customer Support Portal (Help Desk). Our Customer Support Portal enables us to provide our customers with highly personalized, interactive service over the internet. Our customers will be able to add a new support request, view the status of an existing support request, submit support issues and query our knowledge base. With an open line of communication, and a range of self-service options, we want to boost customer satisfaction as well as minimize our response time to any service query our customers may have. Customers can enter trouble tickets by logging onto our site and can access personalized content and relevant support documentation. 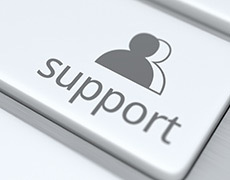 Customers can view their support histories, check their support status and place new support request around the clock. Simply create a user account through our website and take advantage of our new support system. Whenever you would like to log onto the portal simply click on the Help Desk icon which you can find at the bottom of the front page of our website.